WordPress powers more than 29% of the total websites that run on internet including some of Fortune 500 websites. We should literally thank the power of WordPress as a CMS and its popularity that has taken over the digital world, literally! The wide range of variety of WordPress themes and plugins is making the WordPress Developers and designers in WordPress Development go head over heels in surprise and happiness. It was 14 years ago that WordPress came to the scene as a most efficient blog publishing platform with all the features that a busy blogger would love to have! Since, it was the first one ever to come in the blogging industry, it became an instant hit. Gone is the time when a website was considered to be good if it had a lot many pages. It is the trend of simple and modern clean themes which would give the best navigation and browsing experience ot the website users. They should not feel confused when they navigated on your website. Developers in WordPress development take note of this fact to create best websites for their clients. So, a single-page website does the trick with story-telling. With time, the trends are shifting so does the scrolling effects. The Parallex scrolling effect is already in existence last year but it will gain more trend in 2018. Bounce rate should be very less in a website and this can be reduced by giving good buttons to click or CTAs. With story-telling single-page websites, these buttons are much suited to the design and layout giving optimum web browsing experience in WordPress development. Implementing this trend can make your WordPress website attractive in all manners. WooCommerce comes together with WordPress to let the entrepreneurs get created websites from professionals who can transform their dull websites to attractive ones so that there is more sale on the website. The features and functionalities are awesome as plugins help give flexibility in WordPress development. Every year, we see a new addition to the most favorite and popular WordPress theme called “Twenty Seventeen”. Who doesn’t know about it? Video headers are the best method to attract the user attention in seconds. 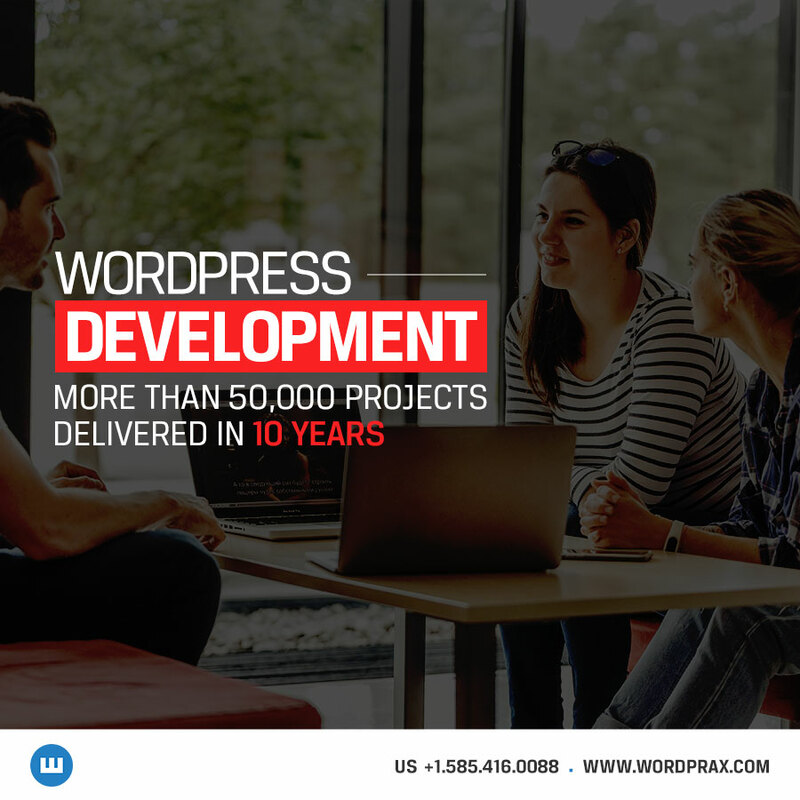 If you want to make that great first impression, then WordPress website development is all you need for your personal as well as business website! There is a clear fact that social media craze has rose to a great extent and with social media comes exposure to the business. If there are no websites which can run equally good on the smartphones as they do on the desktops, you will be in loss. So, WordPress helps here by creating the websites which are highly responsive as well as help make smartphone users addicted to your website. We discussed the top 6 trends of WordPress development that the developers should know to keep their clients happy and satisfied by integrating new technology as well as trends into their WordPress websites. Category: Hire WordPress Developer, Web Development, WordPress Developer, Wordpress Development and tagged WordPress development, WordPress Expert by The WordPrax Editorial.